First impressions it looks like a normal jointed loose ring. However it has a circular stopper underneath which prevents the bit from having its normal nut cracker action. 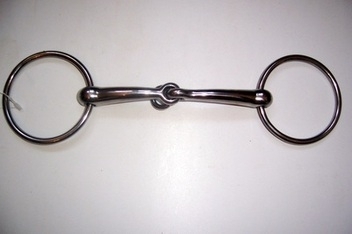 Used mainly in the show jumping world.